The Mississippi Church Protection Act is intended to enable churches to establish a “security program,” by designating members to undergo firearms training and carry guns into church buildings, said the bill’s author, Republican State Rep. Andy Gipson. The law also allows concealed carry without a license in a “purse, handbag, satchel, other similar bag or briefcase or fully enclosed case.” Under this law, holsters also are allowed. Gipson has said House Bill 786 was a direct response to the Charleston, South Carolina, church shooting when white gunman Dylann Roof opened fire last year in Emanuel African Methodist Episcopal Church, killing nine black parishioners. “I wish we lived in a world where this bill wouldn’t be necessary,” Gipson said. On Twitter, the governor posted a video of him signing the bill into law. “Churches deserve protection from those who would harm worshippers. That’s why I signed HB 786,” he said. 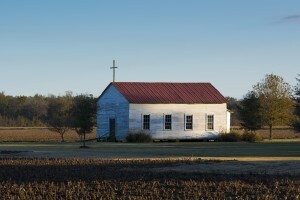 Lorenzo Neal, pastor of New Bethel African Methodist Episcopal Church in Mississippi’s capital Jackson and an outspoken critic of the measure, said he thought the bill would make his congregation feel less secure. The Mississippi Association of Chiefs of Police also opposed the bill, saying it made it easier for anyone to carry a concealed handgun in public, including violent criminals and mentally ill people.